First Look at Eat Fit Go – Wichita By E.B. 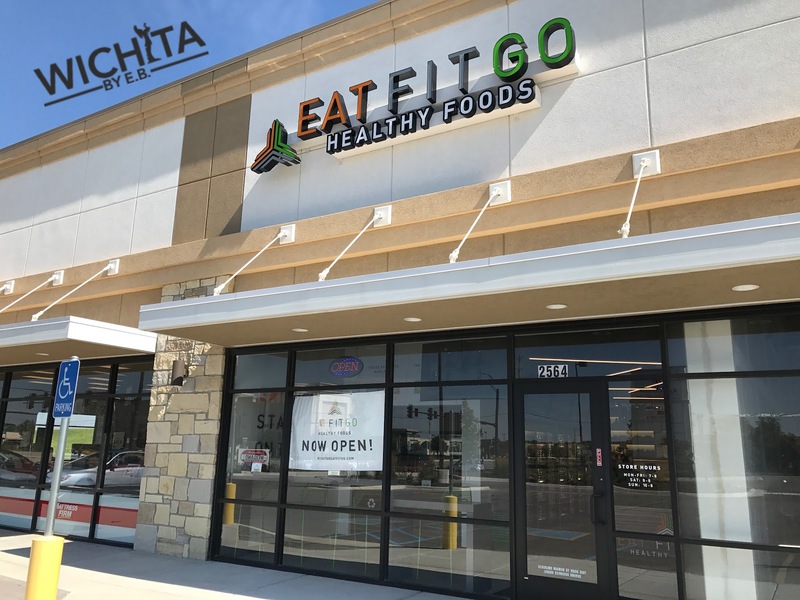 A business that sells fresh prepackaged healthy meals has finally opened its doors to he city of Wichita. 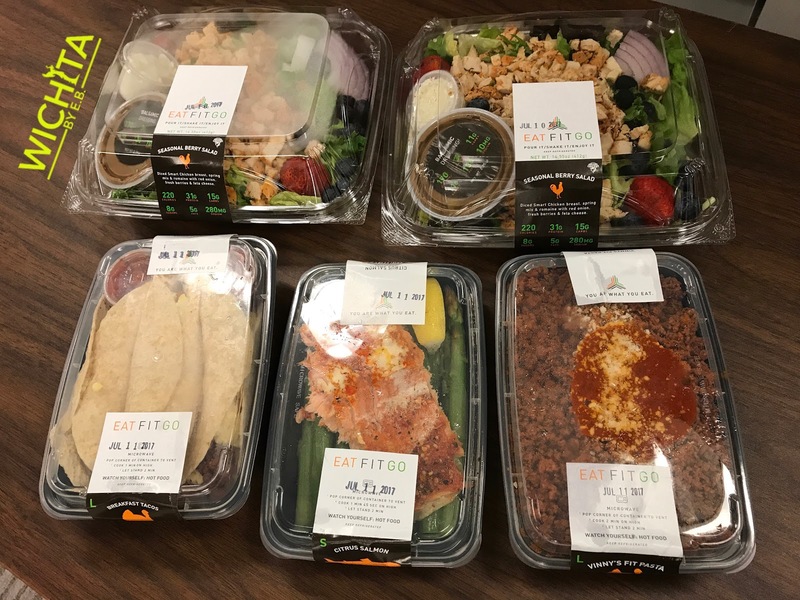 Eat Fit Go sells prepackaged meals for breakfast, lunch and dinner along with snacks. 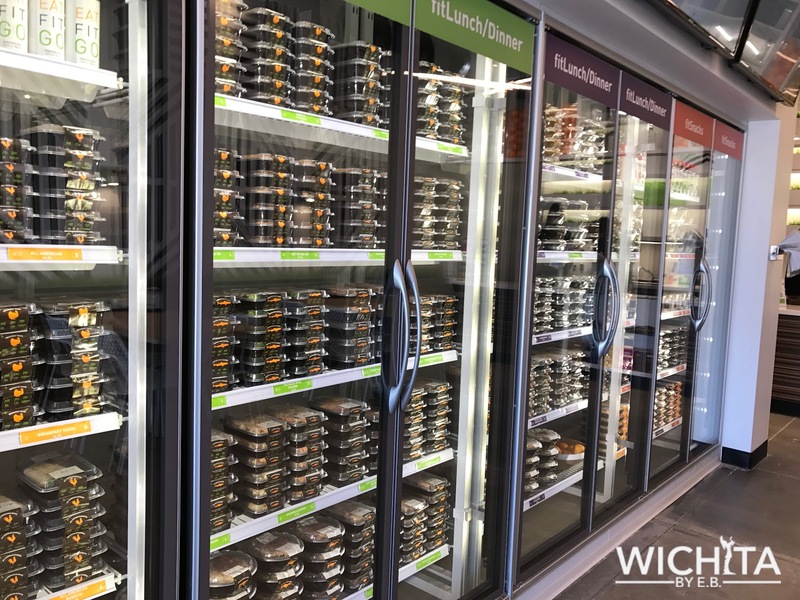 They pride themselves on meals that are made fresh daily, never frozen, no preservatives, low sodium, allergy friendly, and high protein. Every meal you find can be scanned and put into such apps as MyFitnessPal. You can also find all the nutritional values on each meal. 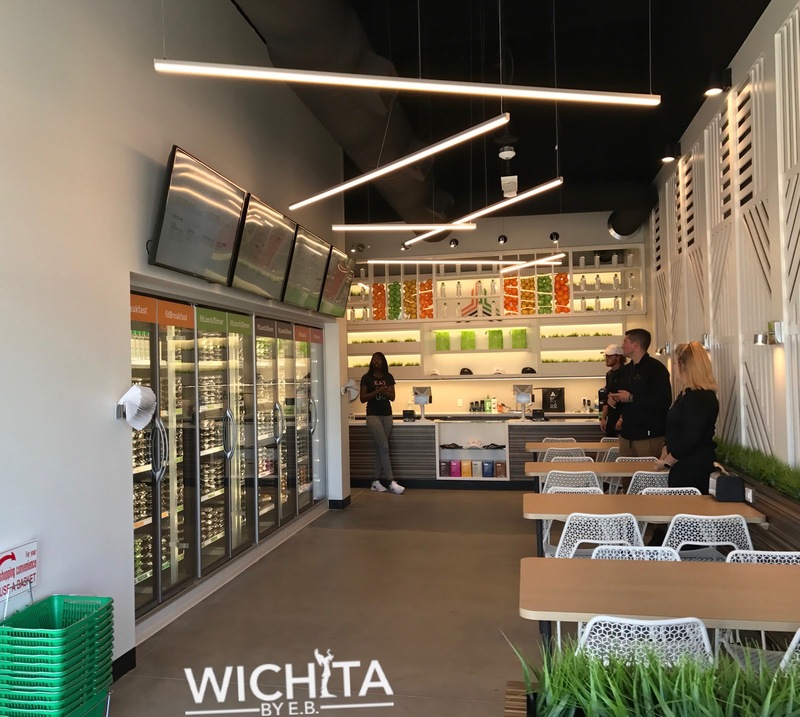 When you walk into Eat Fit Go, the left walls are aligned with fridges where the meals are all held. 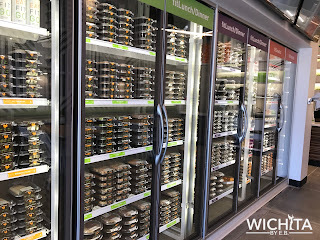 While browsing through the meal options, you can pick out any container, pull it out and find out all the details of the product. 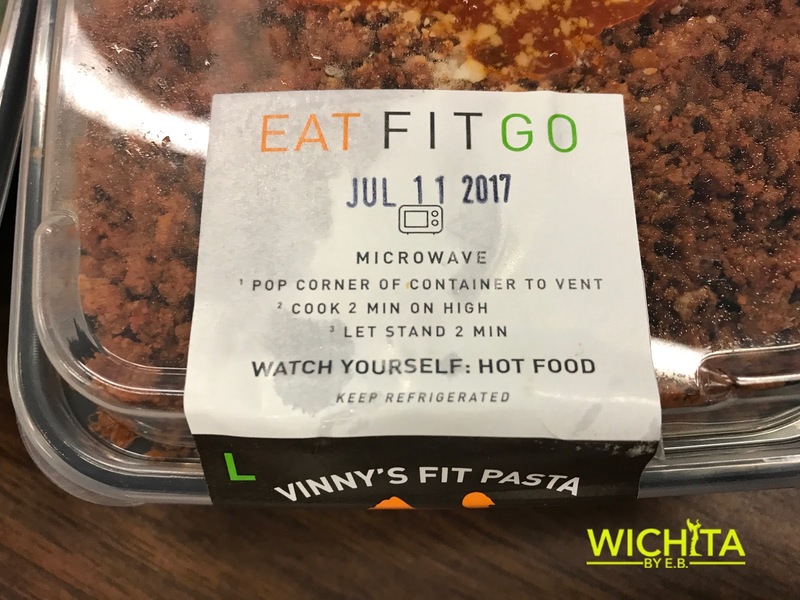 Along with the nutritional info, you will find the eat by date and directions to cook it. Most meals take a minute or two to cook. 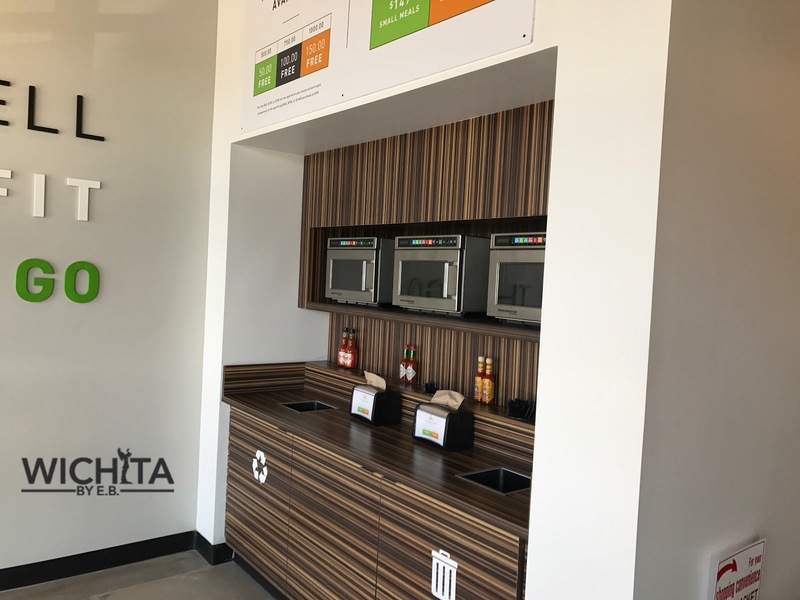 If you would like, microwaves and tables are available at Eat Fit Go for you to dine in. The meals at Eat Fit Go range from $4.50 to $11.75. A meal plan is also available which gives you 5 meals a day for 5 days for $149 or $169 depending on if you go with the small or large meals. The difference between the small and large is the amount of protein in the meal. The container sizes are roughly the same so it comes down to the protein if you’re wondering why there are two sizes. 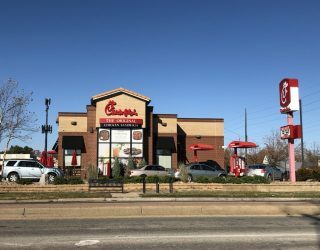 For our first visit, my colleagues and I called in our order. By the time we arrived to pick it up, it was all bagged and ready to go for us. 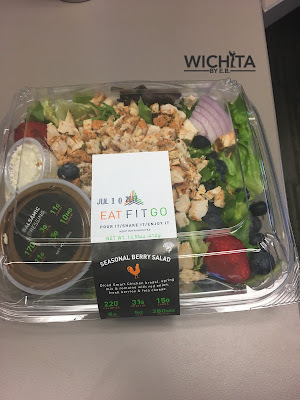 We ordered two Seasonal Berry Salads, a small Citrus Salmon, a large Breakfast Tacos, and a large Vinny’s Fit Pasta. When we arrived to pick our order up, the staff there was incredibly friendly. Even though everything was ready for me to pay, I still wanted to chat it up with the staff just to learn more about the food. 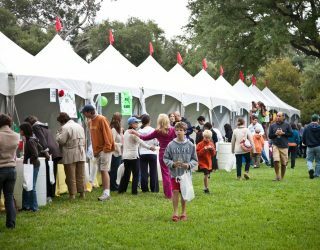 They were very knowledgeable and willing to answer any question I had. Upon arriving back to work, everybody took their meals to the break room microwaves and were ready to eat. At first glance, the meals looked fairly small but by all accounts very filling. One of my colleagues and I are used to big portions for lunch. After finishing the tacos and the pasta, we both agreed that it was very satisfying and more than enough for lunch. We left not feeling bloated or full; a light snack in the middle of the day would have been all we needed to get through the day. It was a great lesson in portion control and not overeating. 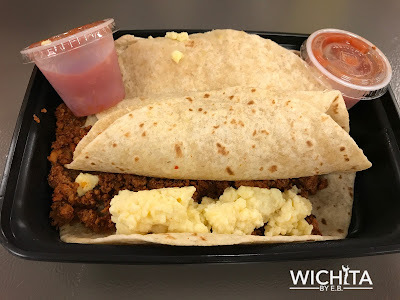 My co-worker who had the tacos thought they were amazing. They were filled with a generous amount of ground turkey and the egg whites were top shelf. 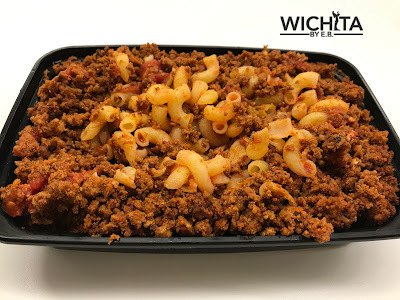 When I first started eating my Vinny’s Fit Pasta, I was hesitant that the meal would be dry. After cooking it, I mixed my entire container of food which helped immensely. The light amount of tomato sauce was surprisingly enough to keep the flavor going. The meal really started to grow on me as I finished it. 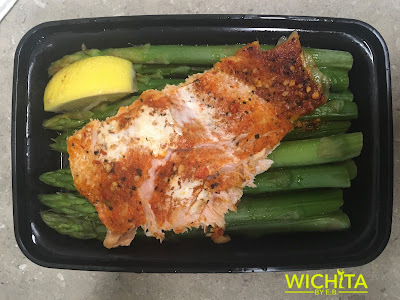 Another colleague who had the salmon said the asparagus was cooked perfectly but needed a little salt and pepper. The salmon had great seasoning but could have used slightly less heat but that could have been due to the inconsistency of the microwave. For what it’s worth, two of us cooked our meals 15 seconds less than instructed and felt that was suitable. 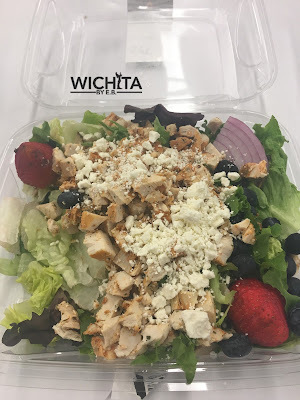 As for the salads, both colleagues loved the freshness of the salad along with the copious amounts of chicken spread out over the romaine lettuce. You could really taste the quality of it. The one minor complaint was the lumpiness of the balsamic dressing. Overall everybody said they would go back without hesitation. The meals were all of high quality and tasty. The one big question that everybody at work was asking about was value. Did we feel we received our money’s worth? 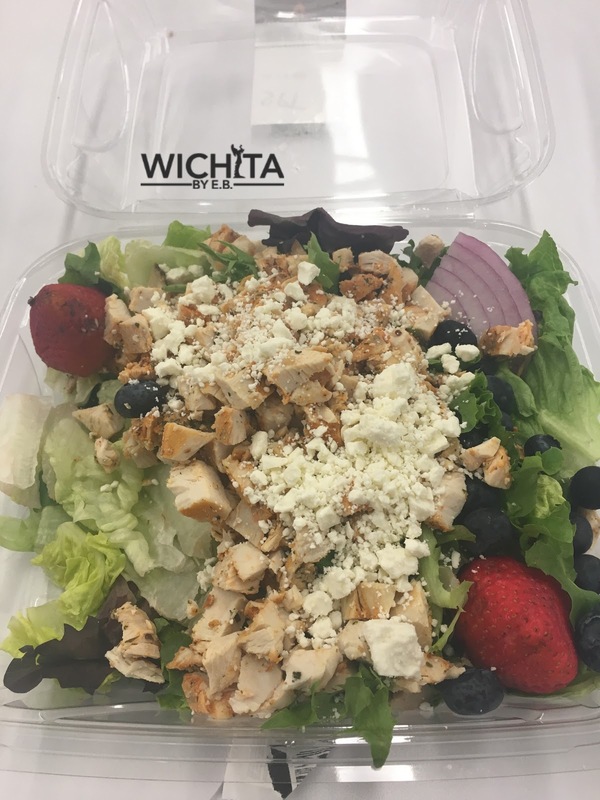 If you’re ok with paying slightly extra for fresh, quality food, then the answer is yes. Not a single one of us felt ripped off and look forward to going back again to try other new items on their menu. Eat Fit Go is very ideal for those looking to eat healthy on the go or simply don’t have the time to prep food at home due to one reason or another. We can certainly recommend this new establishment to all of the readers.